The Principality of Moldavia and the modern boundaries of Moldova, Ukraine, and Romania. 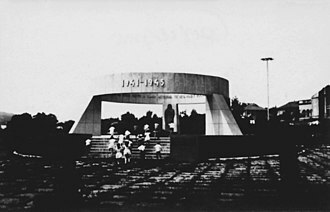 Monument to the villagers who died in World War II, the village Cojușna, Strășeni District. 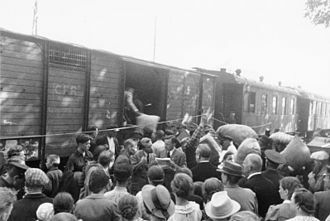 Bessarabia Germans resettling after the Soviet occupation of Bessarabia in 1940.